Children, just like adults, regularly experience stress, worry, anxiety and fear. School, social interactions, new experiences, stresses at home, and other facets of normal life, trigger feelings of uncertainty, insecurity, fear of failure, fear of bad things happening and many other "flavors" of fear. In addition, some kids - like some adults - have phobias, nightmares, traumatic experiences and genetic tendencies to worry, obsess or otherwise be anxious. When parents know how to effectively help their kids through fearful emotions, they can help prevent many of the common, unfortunate consequences of overwhelm. By the time a child hits adolescence, unmanaged or inadequately supported feelings can lead to depression, destructive behavior, self-harm, addictions and other unhealthy attempts at "feeling better." 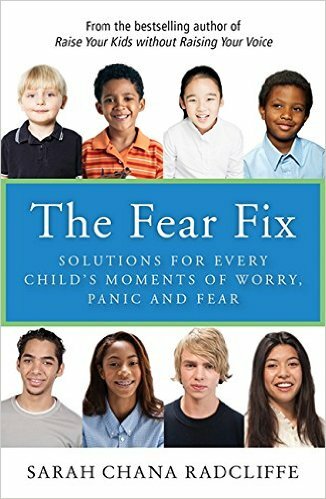 The Fear Fix will show you how to help your child and teen (and yourself!) address all shades of fear, and face life with more joy and confidence.